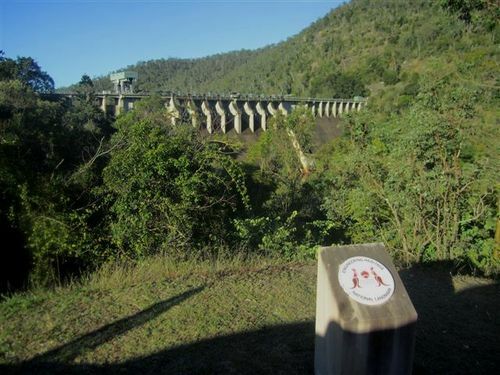 A plaque recognises Somerset Dam as a National Engineering Heritage Landmark. Somerset Dam was constructed by the Bureau of Industry Stanley River Works Board. Construction commenced in 1935 but had to be suspended due to World War Two. Work resumed in 1948 and the dam was completed in 1959.